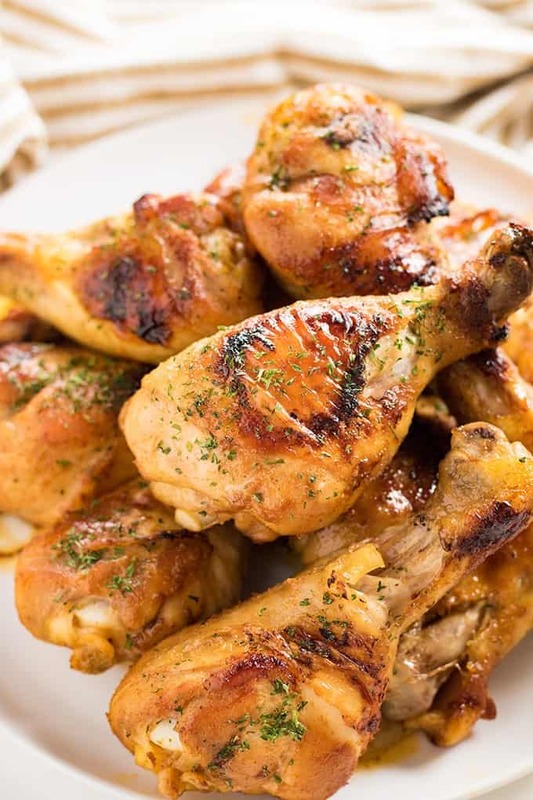 Easy Baked Chicken Drumsticks Recipe is the perfect way to make juicy and tender chicken that your whole family will love! 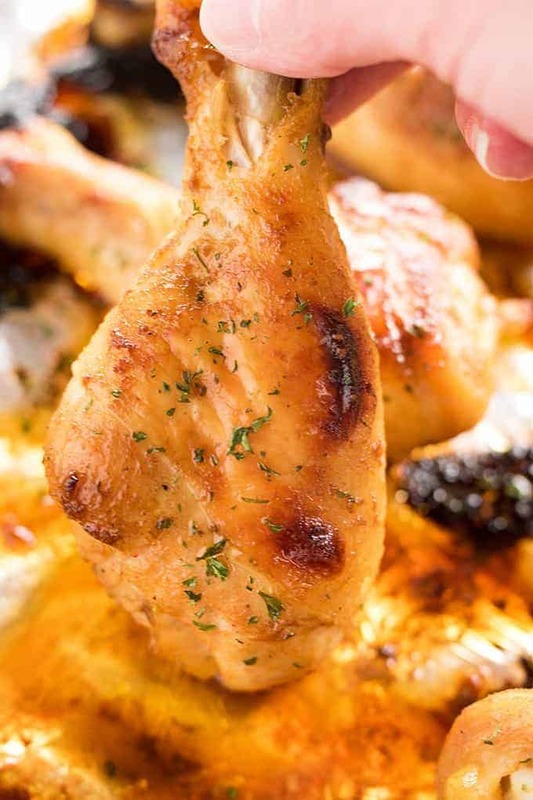 These chicken legs are coated in a simple, and flavorful marinade, then baked to perfection. 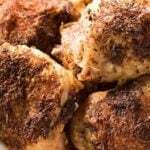 Since everyone has tried and raved about my recipe for Crispy Baked Chicken Thighs, I thought it was time to post another one of my favorite baked chicken recipes! 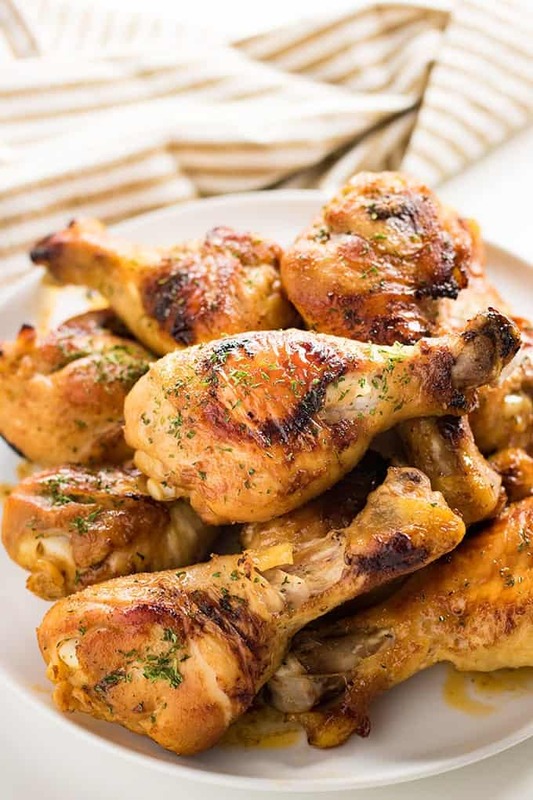 Chicken drumsticks are a really simple and inexpensive cut of meat to cook. 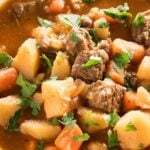 Just like the chicken thighs, it is also one of the recipes I get questions about most often. 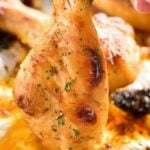 I have had countless friends, family, and readers ask me how to cook chicken legs. If you’re looking for another really fun and flavorful chicken recipe try these Chicken Drumsticks too! These are the questions that come up most often, and today I am going to answer them for you! What kind of marinade should I use for chicken drumsticks? 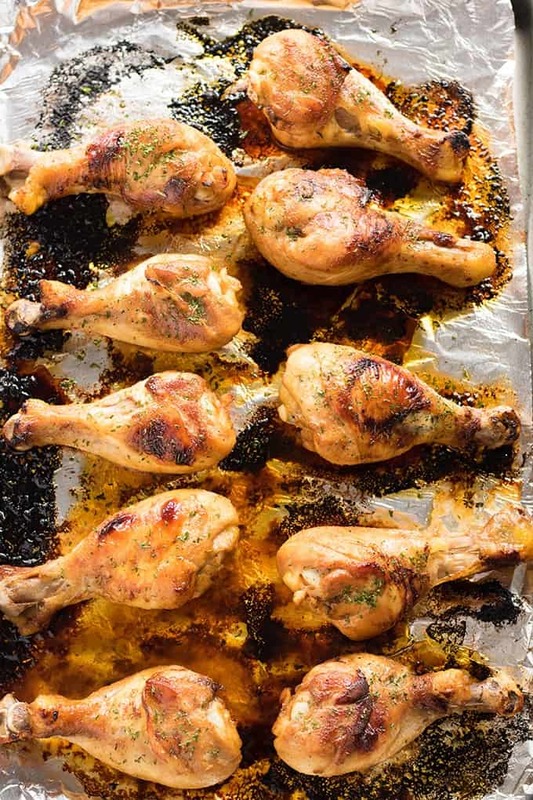 How long do I cook chicken drumsticks in the oven and at what temperature? 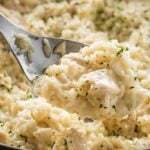 What is a good side dish to go along with chicken drumsticks? The marinade for chicken legs doesn’t need to be complicated to produce some flavor packed results. My marinade starts with a selection of pantry and refrigerator staples such as olive oil, soy sauce (or Worcestershire sauce is fine), brown sugar, seasonings, and lemon juice. I simply whisk all of the ingredients up in a bowl, place the chicken legs in a large zip-top bag, then pour the marinade over the chicken. Make sure to remove any air from the plastic bag, then, massage the marinade into the chicken for a few seconds to coat. You will want to refrigerate the chicken for as long as possible at this point. Thirty minutes minimum is fine, but two to twelve hours is best. How long and at what temperature to bake the chicken drumsticks? You will want to cook your drumsticks at a high temperature of 425 degrees. Simply place them on a large, rimmed baking sheet lined with foil, then sprayed with non-stick cooking oil for easy cleanup. Then, you will cook them for 25 minutes before flipping and cooking them for an additional 10 minutes on the other side. Flipping them once is enough, and simply ensures that they are cooked through and have a nice caramelized color on both sides. 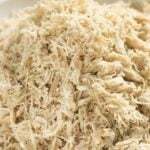 What is a good side dish for chicken drumsticks? One reason I love chicken legs and this simple marinade is that they pair well with almost any side dish out there! If I am trying to keep our dinner a little lighter, I love serving these with a side of fresh cooked green beans or a simple green tossed salad. 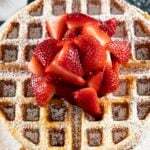 Be sure to follow along with us on FACEBOOK where we always share the tastiest recipes! 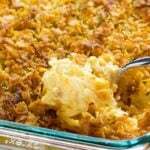 In a medium bowl whisk together the olive oil, lemon juice, garlic powder, onion powder, salt, soy or Worcestershire sauce, brown sugar, pepper, and paprika. Add the chicken drumsticks to a large zip-top bag and pour the marinade over the chicken. Close the bag and massage the marinade into the chicken for a few seconds. Refrigerate the chicken in the marinade for at least 30 minutes. For best flavor allow the chicken to marinate for 2-12 hours. Preheat the oven to 425 degrees. Line a large baking sheet with foil and spray with cooking spray. 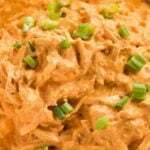 Arrange the chicken in an even layer on prepared baking sheet and bake in the preheated oven for 25 minutes. Flip the chicken and cook for an additional 5-10 minutes, until cooked through. **Chicken should reach an internal temperature of 165 degrees before consumption. Is the baking pan supposed to be COVERED with foil? Delicious marinade and the chicken was cooked perfectly. I have tried many a chicken leg recipe…This is by far the easiest and tastiest I have ever made. Kids loved it. I ate all the chicken right off the bones which I never do…and all the skin. Such a perfect balance and depth of flavour. 3 hours marinaded and DELICIOUS! !